In the interview, Orhan Pamuk, İshak Reyna ve Emre Ayvaz talks about The Black Book’s writing process and its effects on literary world. 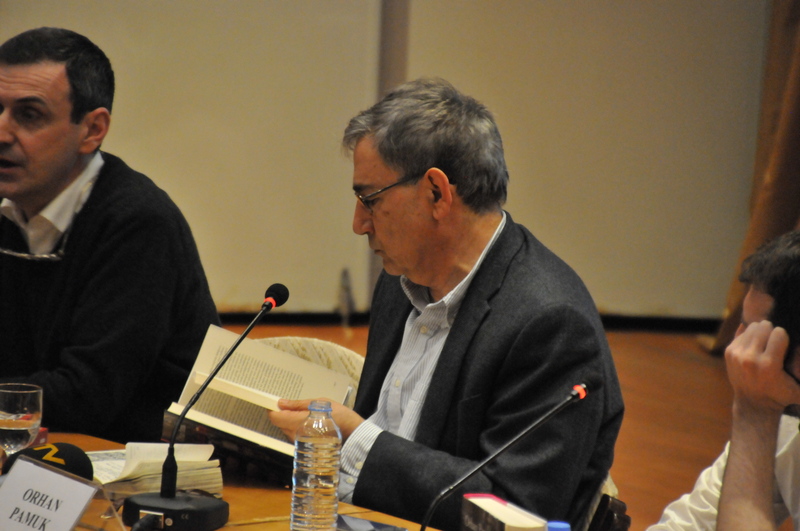 Orhan Pamuk expresses his feelings that he sensed while he was writing The Black Book: ‘I created a different kind of sentence structure from that of earlier two generations than that of me. Without abstaining from using long sentence structure, I took narrative to a distinct way of narration. 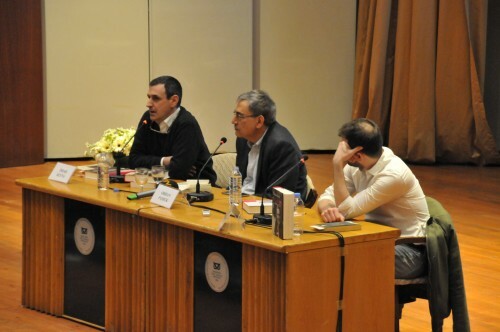 Writer, Emre Ayvaz, saying that at the age of 22 he met Orhan Pamuk yet he has been reading his books since the age of 15, underlines that Orhan Pamuk approaches to islamic mysticism in a divergent way. Ayvaz says that İn The Black Book, Orhan Pamuk’s Istanbul is seen for the first time. 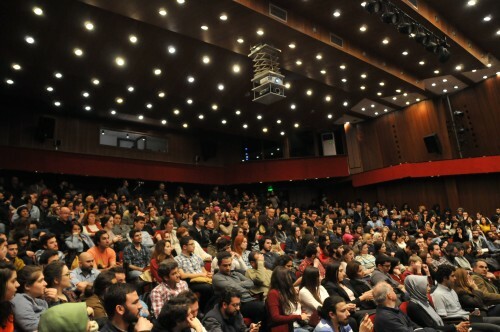 Upon remarking archives of Orhan Pamuk, İshak Reyna states that Orhan Pamuk who for 40 years has been meticulously preserving and enhancing his archive which is needed scrutinizing, is a literary valuable source. 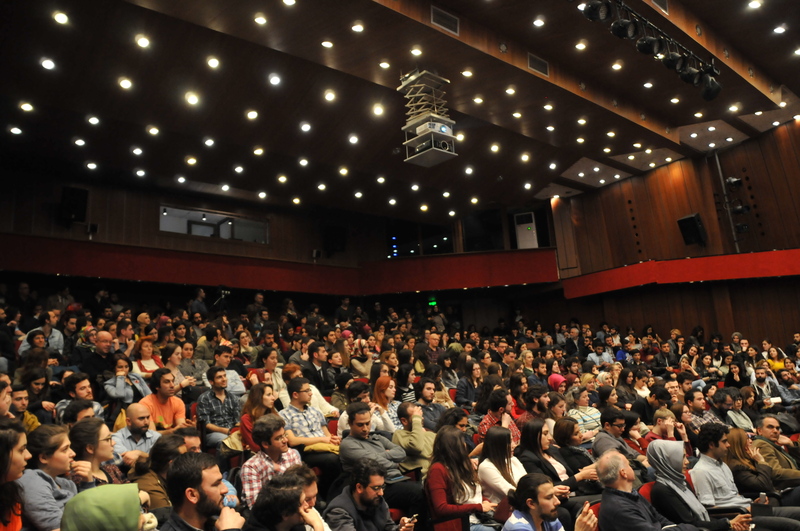 Responding to participants’ questions, Orhan Pamuk says that Nobel Prize For Literature brings a huge responsibility to him. After touching characteristic features and meanings of images in The Museum of Innocence, the interview closes.